James is the Managing Director and one half of the couple behind the boutique hotel provider Mr & Mrs Smith. 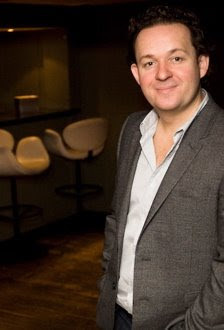 His first company, Atomic, organised legendary London parties and corporate events. Working in industries he was passionate about, he moved in line with his target market and co-founded a restaurant and members’ club – The White House. Next, naturally, he turned his attentions to boutique hotels. Since Mr & Mrs Smith’s first guidebook was published under the Spy Publishing imprint in 2003, Smith has grown under James’ entrepreneurial eye from a labor of love to a multi-faced boutique travel provider. James’ latest projects include launching the Smith brand in the USA and opening an office in Australia to expand into the Asia-Pacific region, as well as introducing a 24-hour telephone booking service for luxury travelers worldwide. Squash, tennis, and collecting Vinyl which he occasionally dust off for the odd friend’s wedding. Blakes in London for its dark glamor.